It looks great! 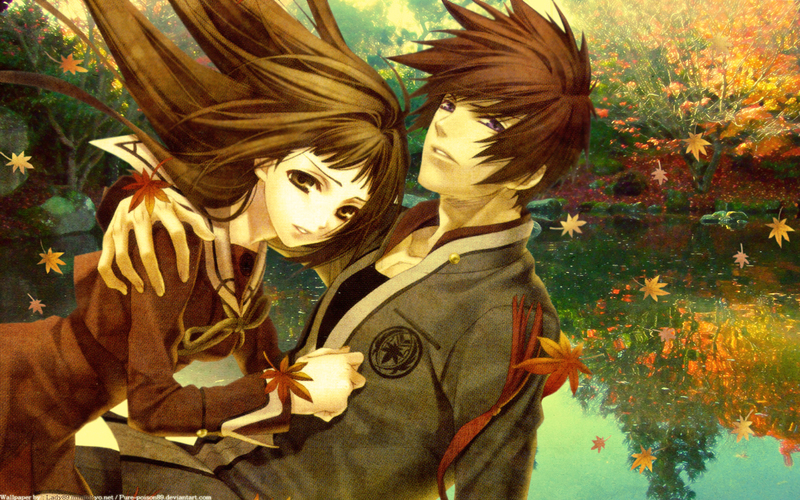 Tamaki, Takuma and maple leaves look right together. This looks really good, except i think it'll look even better if the lines were clearer, ie. if the pic is vectored, but that's just me~ well done! I already want play this game! i actually think this is a really interesting piece. the colors are nice and while i would have done the bg slightly differently i think it works. The scan fits the scene perfectly, and the autumn's leaves and colors are giving such a romantic atmoshere. WOW!The colour suits the season.Love it. handsomeeeeeeeeeeee! he looks one of the hachiyo guys! the latest one!